Google has added one more layer security into Google Accounts, that is 2-Step Verification. 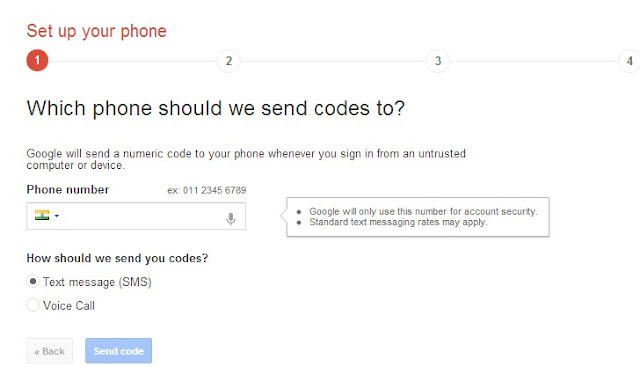 You may set up your mobile in the security account and whenever you will be signed in your Google accounts, will be asked for a verification code which will be sent to your mobile after this setup. You may restrict your Google account from bad guys who are trying to access your personal data from other computers. 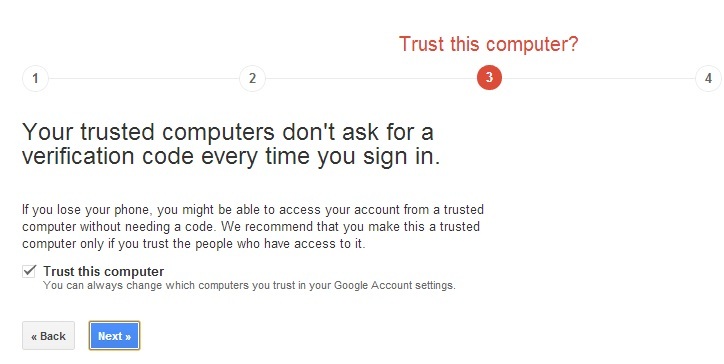 In this feature you can make your computer or laptop trusted so Google will not asked code again for your computer but when any bad guy want to try your log in on another computer then he will be required to provide SMS notification code and that is not easy to get for him as this is sent on your mobile. 1. Login in Your Google Account , Go in Account settings. 2. Go in Manage Security available under Account Activity. 5. 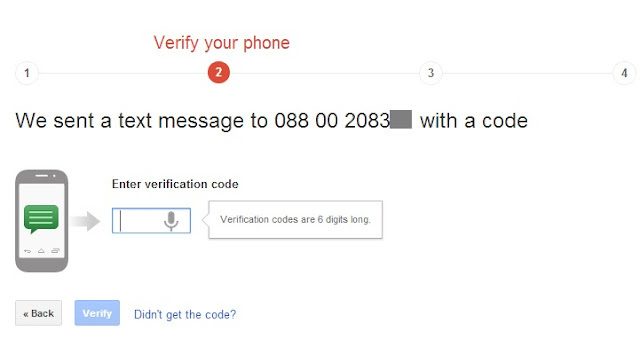 Verify Your Phone – Enter Your Verification Code which sent on your mobile. 6. Make Your Computer Trusted – Check checkbox trust this computer – if you choose trust this computer then code will not be asked again for this computer when you next time login. When you delete browser history then you will be asked again to enter code and make your computer trusted. 7. Confirm Your 2-Step Verification Setup. 1. What will I do if phone is switched off or lost. Ans – You may add backup phones in the settings, means you may add another mobile to get the code.If your primary mobile is not working then code will be sent on another mobile and you may enter that one. 2. If I am travelling or no backup phones added in the settings then how will access my account. Ans – Google has provided 10 printable backup codes by default in your settings, You may take print of these codes and put in your wallet or save text file in your computer. One code can be used at only one time. To access these codes – Go in Account > Manage Security > 2-Step Verification > Settings > Printable backup codes. This entry was posted in Google on February 15, 2013 by Yogesh Bajpai.